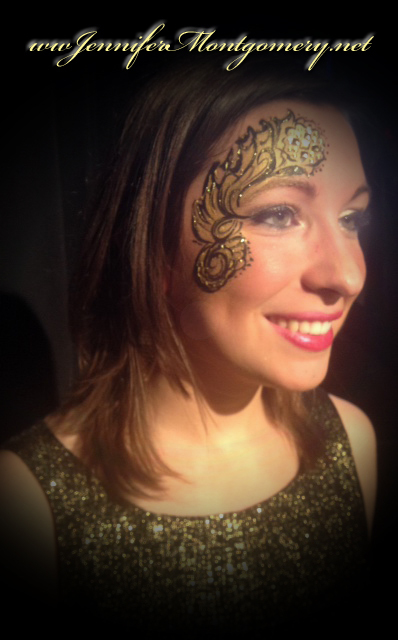 Parties ,Events,BirthdAYS, Sweet Sixteens,Stage Shows,Performances and More! 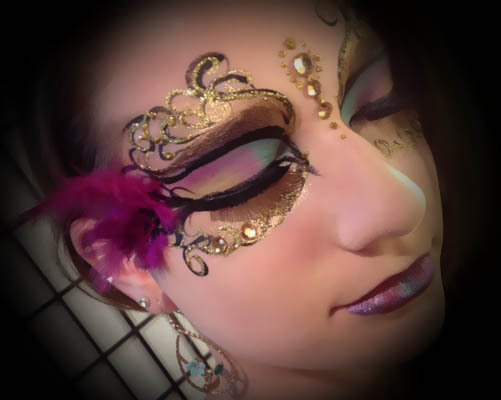 Glamour face painting in Philadelphia PA is ideal for unique parties! 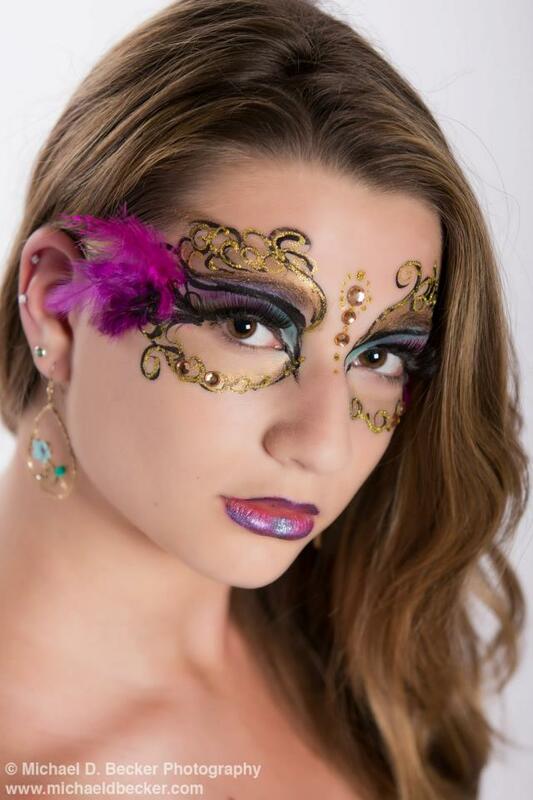 Teen parties, Girls Birthday Parties, Sweet Sixteens ,Adult Parties,Masquerade Events, Theme Parties, Mummers Parade, runway and hair shows- anything that requires glitz! 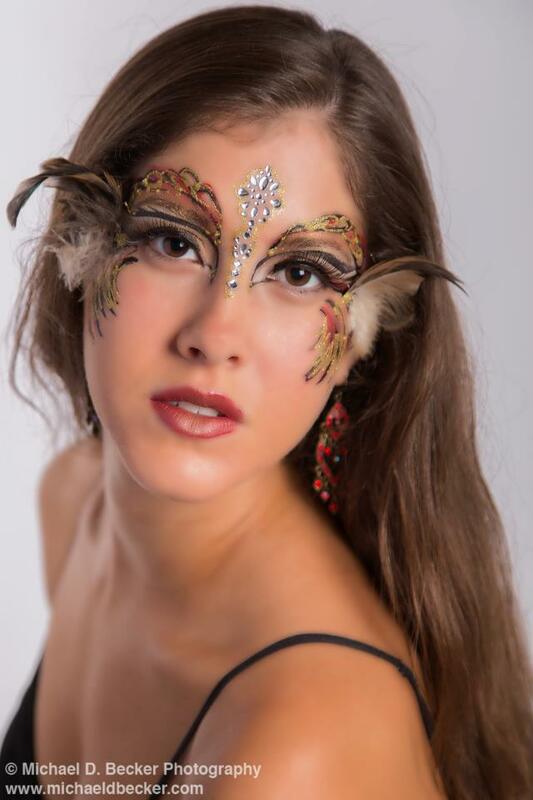 Be glamorous and let your inner diva loose! 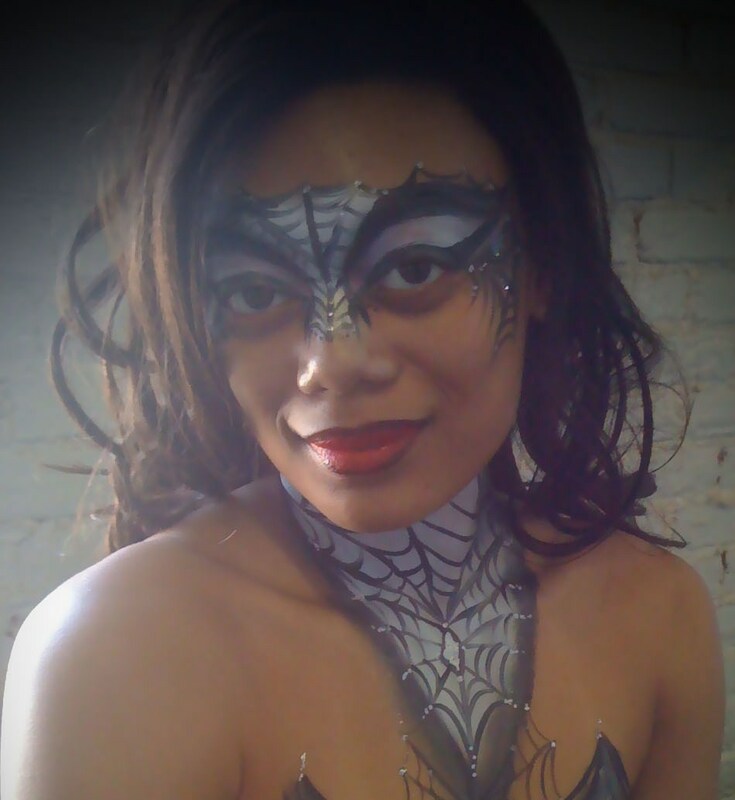 Book Glamour Face Painting for your next Philadelphia area event! 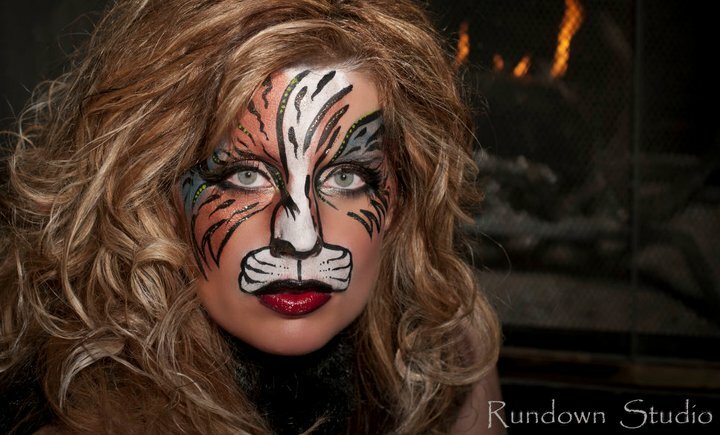 Philadelphia glamour face painting is expert theatrical/fantasy make-up artistry which commands glamour and fun. 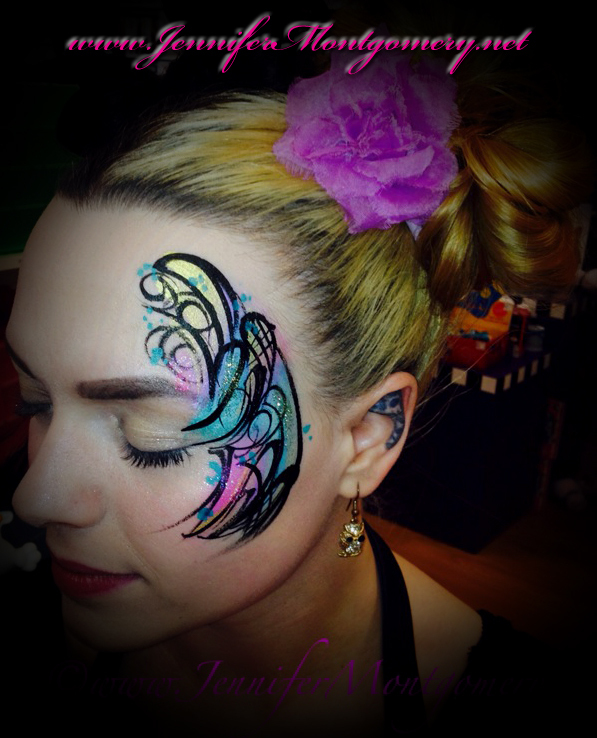 Each unique extreme face painting design is customized to complement your facial structure and unique personal style. 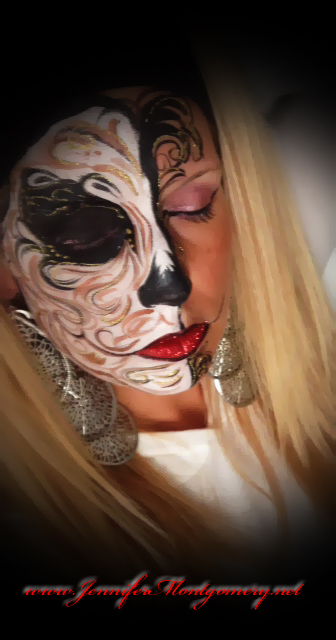 Because each make-up design is unique, it will take an average of 10 minutes to complete each face art depending on detail and embellishments. 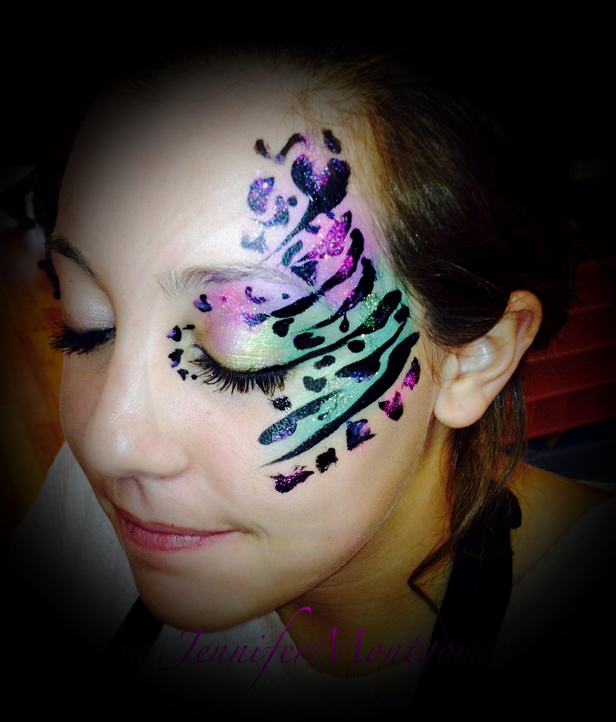 Glamour face painting includes bold, beautiful colors, shimmer powders, cosmetic glitters and gems. 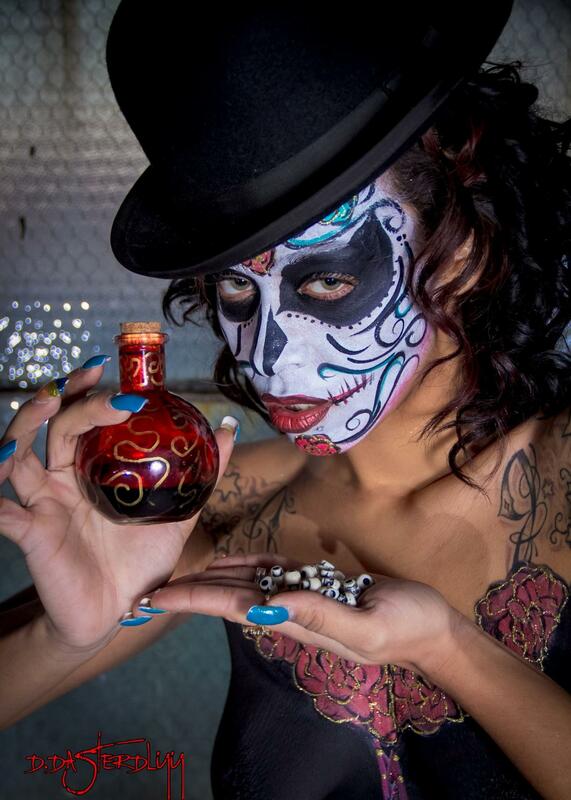 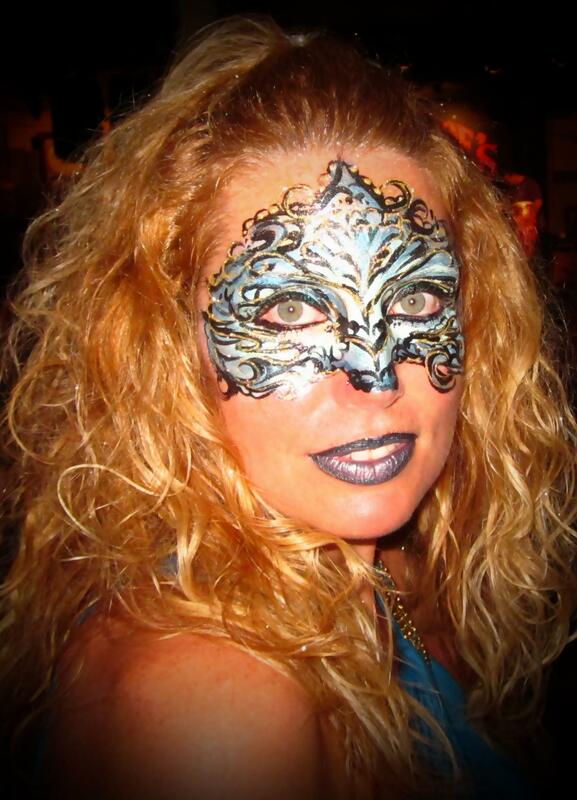 Get your face painted for Fantasy Fest in Key West,FL- book early for best availability! 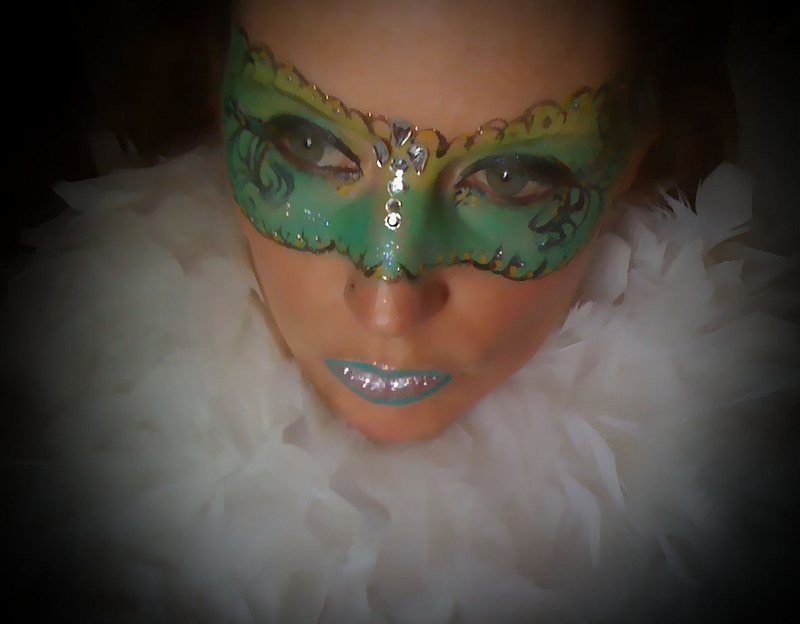 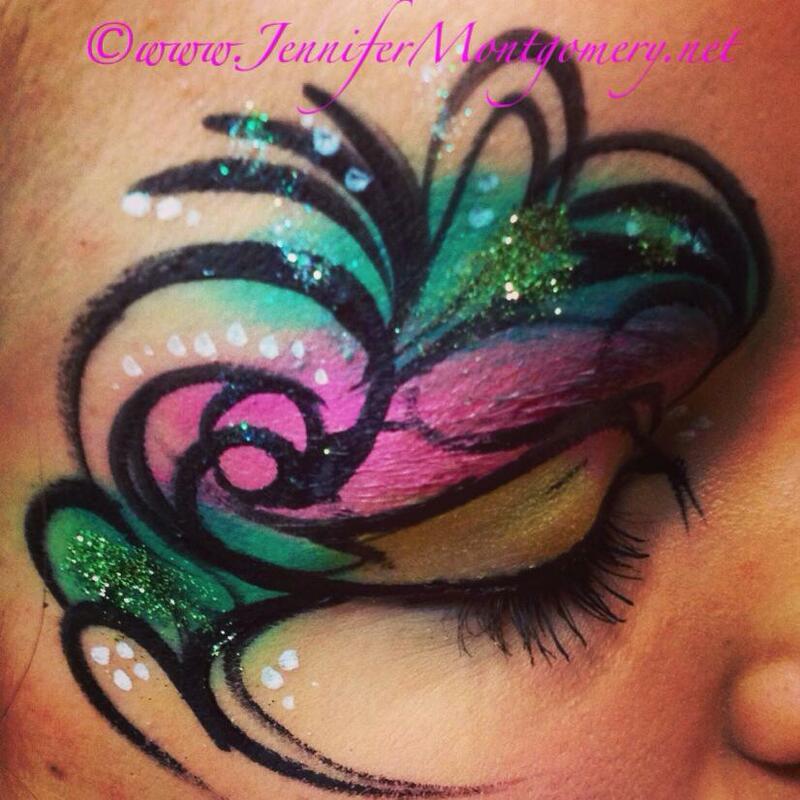 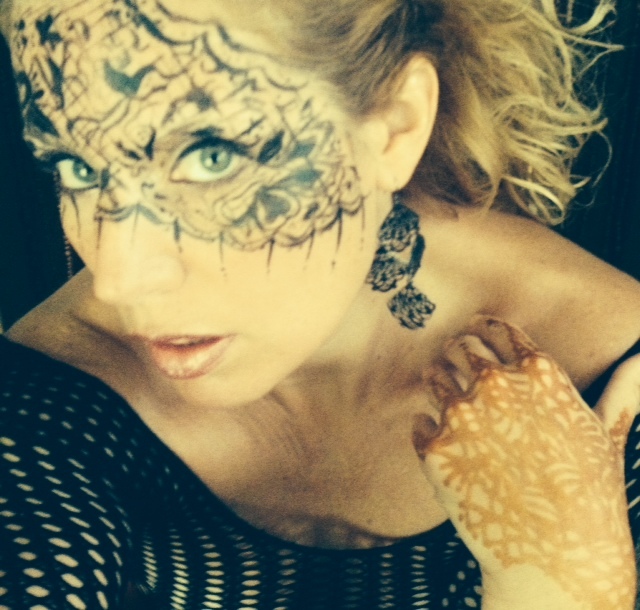 Glamour face painter/Make-up artist Jennifer Montgomery is conveniently located in the Philadelphia PA area. 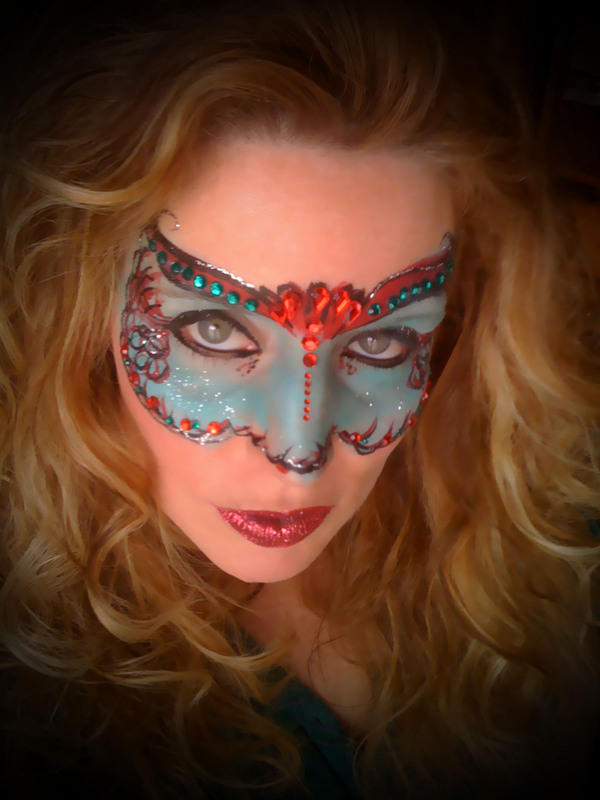 Face painting can be done in your location for parties and events or Jennifer offers private make-up art by appointment only at her private home studio in Delaware County PA.